Garden-villa as Analogical Reconstruction of the City: Six Suburban villas in Sixteenth-Century Rome. The suburban villas of sixteenth-century Rome mark the foremost ideological transformation of garden enclosure. Here the archetype serves to expose imaginations of extremely monumental reconstructions of the city, within self-contained (almost over-designed) buildings. As for a threshold of half a century, villa type becomes framework for Peruzzi, Bramante, Vignola, Vasari (and others), to re-interpret ancient roman architecture and, henceforth, to generate intelligible places. Which were, at that time, physical and politically impossible to be planned in the chaotic city. Moreover, the Roman cases become very particular as they have amplified the (many) papal visions of urban intervention –in this sense, stepping aside Palladian examples for Venice. And they were able to do so precisely for re-inventing the garden as theatre: with high symbolism of botanical species from elsewhere, flagrant useless stairs, and so on. 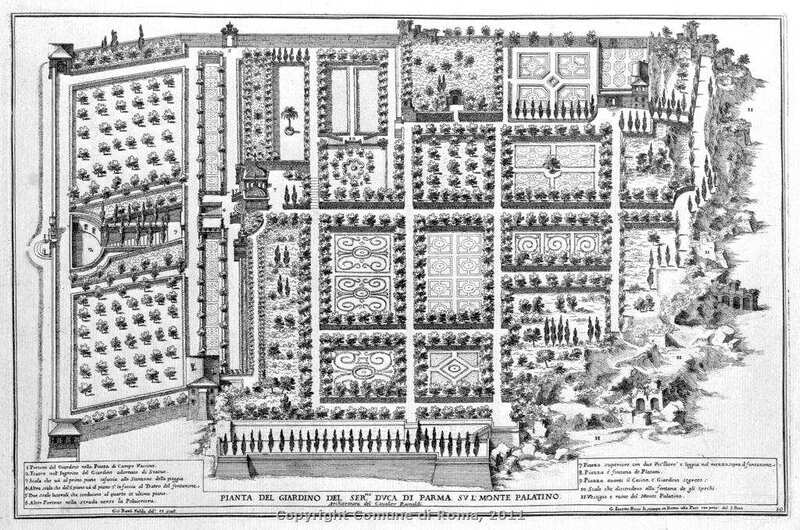 Crowning thus a major shift in garden (and villa) architecture, when the roman orti is turned into a massive courtyard-garden, and later into a botanic park. The second chapter of Garden as Political Form will analyse such passage through six exemplary cases: Villa Farnesina (1505-11), Cortile de Belvedere (1505-13), Villa Madama (1516), Orti Farnesiani (1550), Villa Giulia (1551-53) and Villa d’Este (1560-72). Flexibility is often known as the structural principle that arose in Western Europe during the early 1970s and defined all economic and state formations. Seeking to theorize the term beyond this technocratic reading, the first chapter of this project intends to bring forward its historical appearance in conjunction with the analysis of the environment under which this took place. It will trace the notion back to the early fourteenth century France and Henri de Mondeville’s medical manuscript, La Chirurgie, that introduced flexibility for the very first time as something that is capable of bending. Apart from this physiological definition though, it will present flexibility as a ‘dual character’ through Jean Lemaire de Belges’ ideological approach suggested in his early sixteenth century Grand Rhétoriqueur piece of Les Illustrations de Gaule et singularitéz de Troye, transforming it into a technique of persuasion and establishing a relation to docility. It is precisely within this early modern French context that the paper will argue for the first conscious appearance of the term in the architecture construct as a structure for the storage goods. Rising with the genesis of circulation – the element that completed the early capitalist trinity together with production and consumption – the chapter will reflect on the emergence of trade and the mercantilist culture as the defining point in its spatial application and growth. Specifically, concentrating on the second part of the mercantilist era, the interest will shift to the new power of the time, Britain, which not only ruled the sea and commerce but essentially manifested this capitalist urge for progress at large. Together with a series of inventions and innovations, initially elaborated in the countryside with the development of the textile mills, London’s urban and architectural representation developed into the prototype. Exemplar project of this case became the West India Docks with its iron warehouses defining flexibility as a twofold concept; as a space and as a body. The paper rethinks the architecture of the rural settlement as a spatial question at both the architectural and territorial levels, and proposes a scenario project for the rural territory to transcend the conflicts between the countryside and the city. This opportunity is provided by the on-going reform of the household registration system (or the hukou system), a major state policy that signals a new urbanisation process for the Chinese countryside. The scenario project proposes the rural collective as a self-organised and self-sufficient territorial unit to enable the sharing of multi-scalar services, education and common economic services. By doing so, the rural collective provides an alternative to the prevailing large-scale agribusiness model. Through instrumentalising the shift of the concept of rural household, the setup of rural collectives attempts to shape different subjectivities in order to transcend the perceived limitations of what the rural population is and could be. The thesis argues that all of this could lead to a more equal power relationship between the countryside and the city. The politico-economic conjuncture of Brazil, that in the space of a decade turned from euphoria to drama, is a radical example of the effect that the dissolution of government into the abstract machine of financial governance is exerting on the development of the city and ultimately on life. However, precisely in such critical conjunctures Archetypes can emerge as a response to a crisis and as instruments to reorganise a collective form of life and construct an alternative project of the city by means of architecture. The shifting of the Workers Party toward neoliberal and populistic policies had tremendous impact on the city, where urbanisation became the ultimate form of governace. In particular the program MINHA CASA MINHA VIDA was used as a weapon to both dislocate large chunks of the population in distant and disconnected peripheries while inflating through public incentives the housing market and the profits of the construction companies. Such policies not only exacerbated the already critical conditions of social segregation and violence, but above all it constructed a subjectivity where money and property mediate any form of relationships and collective life. The thesis proposes to verify the potential of the Archetype as a method in the context of São Paulo, where on the one side the pressure of urbanisation is the highest and on the other side since three decades an articulated network of “urban social movements” is organising the struggle to provide housing and citizenship for the lowest classes. The project assumes those movements as the subject for which the Archetype of the Open Court could constitute a decisive technique that, giving an alternative aesthetic and epistemological framework to the question of collective housing, can allows to reclaim a political dimension of the city. This presentation puts forward and investigates a particular model of re-settlement centre as an Iranian political apparatus in the decades of 60s and 70s. Named Shahrak, the model operated in a period in Iran that has often been described as a vortex of fast paced modernisation, leading to a revolution in 1979 and the overthrow of the monarchic government of the Shah. The Shahraks of 60s and 70s were at the intersection of 2 extreme scales of intervention. Interventions that deployed the minute folds and variations in the thicknesses of walls on one hand, and aggressive restructuring of entire landscapes on the other. Interventions that operated in an ensemble of new global relations, institutional structures, fields of knowledge and spatial technologies of intercession. Architectural Interventions that aimed to re-invent the Iranian family as well as the Iranian territory. To return to the project of Shahraks today is to rethink the power of architecture in driving social and territorial changes.